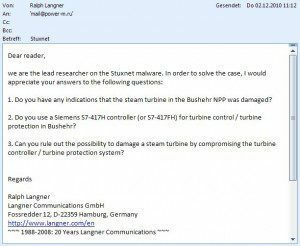 In order to determine what’s going on in Bushehr, we thought we simply ask the manufacturer of the steam turbine: Power Machines Corp. in Russia (see email). If anybody knows details about that big 1000-Megawatt turbine in Bushehr, it’s certainly them. However, that would have been too easy. Russia chose not to respond; perhaps because of being under NDA. So we did some independent research. In order to understand the following, we have to explain the Siemens product structure in some detail. The Siemens Energy product that controls power plants, both nuclear and fossile, is called T3000. Its predecessor is labeled the T2000, but used to be called Teleperm XP. Siemens still sells energy systems to third-party integrators under the Teleperm brand name, mainly to the Russians – see page 4 of the Russian document we had referenced before. Older Teleperm installations used to be equipped with Siemens S5 controllers, but this is no longer the case as the S5 is obsolete for several years. Contemporary installations are equipped with S7-417, as evidenced in this Siemens presentation.